Hydrogen – clean energy par excellence – appears more and more as a future energy sector, both in the field of transport and in stationary industrial applications. Today, many cities around the world have harnessed it as one of the most effective ways to manage the problems of urban mobility, passenger transport, or last-mile logistics for goods. 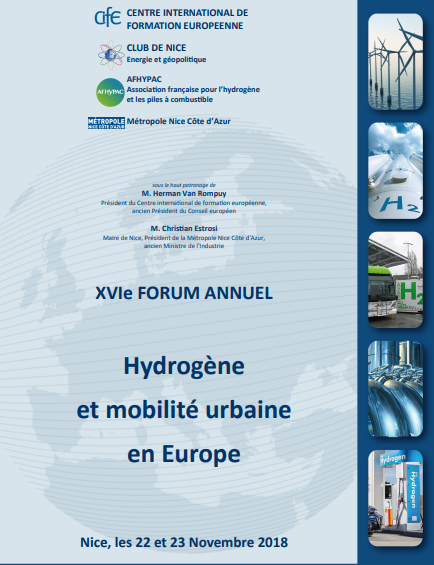 CIFE organises this conference in cooperation with the City of Nice, the AFHYPAC, and the Club de Nice, to reflect on hydrogen-fuelled responses to cities’ transportation and environmental challenges. We wish to involve industrial players in this event, as well as interested local authorities and individual guests. The conference takes place in French.